PNG stands for Portable Network Graphics. It's a lossless bitmap image format that is popular on the World Wide Web and elsewhere. PNG was largely developed to deal with some of the shortcomings of the GIF format and allows storage of images with greater color depth and other important information. A PNG image with an 8-bit transparency layer (top), overlayed onto a chequered background (bottom). PNG uses a non-patented lossless data compression method known as deflation. Due to it on most images PNG can achieve greater compression than GIF, but some implementations make poor choices of filter methods and therefore produce unnecessarily large PNG files. The PNG format allows three different styles of transparency: one for indexed color images and two for greyscale or truecolor images. Image attributes that can be stored in PNG files include gamma values, background color, and textual information. The standard allows up to 16 bits per channel, though for most people, 8 bits per channel is usually enough. 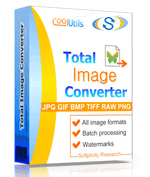 If you want to convert PNG to TIFF, JPEG, BMP or other graphic formats try Total Image Converter. It converts PNG images in batch and you save time. The output quality is always great.